(Newser) – Russian dancer Pavel Dmitrichenko is headed to prison for six years over an acid attack against Bolshoi Theater artistic director Sergei Filin. The sentence is less than the nine years prosecutors had sought for the dancer known for playing evil roles, the New York Times reports. 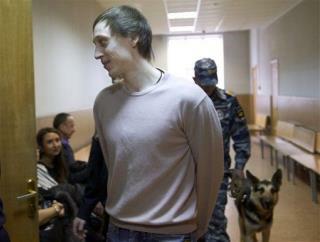 Dmitrichenko confessed to asking another man, Yuri Zarutsky, to hit Filin "on the nose"; testimony indicated that Dmitrichenko paid Zarutsky $1,500 to attack Filin, judge Yelena Maximova said. That hardly seems just considering his victim got a life sentence with no possibility of parole. He obviously has mental health issues. He needs intensive therapy just as much as he needs a prison cell.